On June 20, the Automotive Service Association (ASA) hosted a webinar called “The Road to Great Technicians” with Chris Chesney, senior director of customer training for the CARQUEST Technical Institute. Attendees qualified for one credit from the Automotive Management Institute. After ASA Vice President Tony Molla introduced the webinar’s presenter, Chesney recounted his collaboration with the National Automotive Service Task Force (NASTF) to identify the Road to Great Technicians. They began in March 2016 when NASTF’s Spring General Meeting focused on the topic of building a road to great technicians. Chesney was asked to explain the current state of the aftermarket training industry. He defined the current state of aftermarket training as a lack of industry standards and a structured career path, unorganized training offerings, and disjointed efforts by industry organizations. However, he also identified many good building elements. 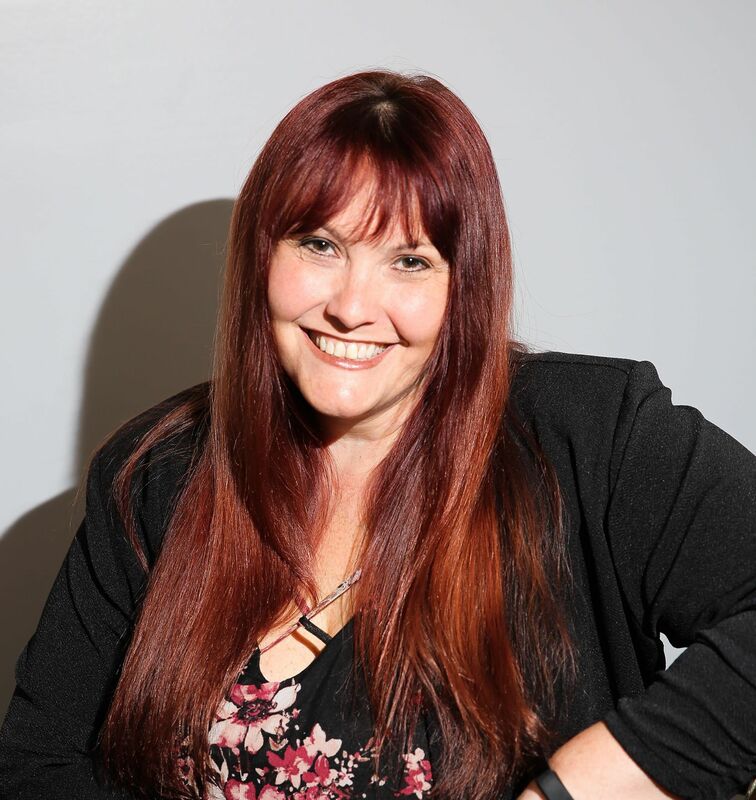 Current problems in the industry include the inability to find new talent, graduates not performing to industry standards, an inability to afford techs and the amount of time is takes to replace a technician or advisor who leaves a company because companies do not build bench strength. Chesney identified the aging workforce, oncoming tidal wave of technology and lack of a structured career path as reasons for the significant needs for technicians. Focusing on the influx of technology, he explored the unseemly amount of data that is transferred within modern vehicles. Chesney presented a picture of the Technician Life Cycle, which included the following seven steps: secondary shadowing, post-secondary intern, entry-level apprentice, technician, senior technician, master technician and specialist; however, he noted that this does not include possible “off ramps” on the Road to Great Technicians. 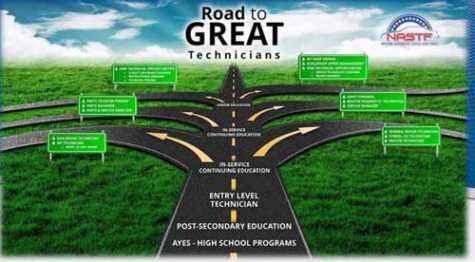 Occurring after an industry professional becomes an entry-level technician, these “off ramps” include in-service continuing education and higher education, which can offer technicians a variety of paths to pursue in their careers, ranging from master technician to shop foreman to shop owner or even becoming an engineer for an OEM. In a January 2018 meeting, the education team at NASTF identified a subcommittee of industry experts tasked with creating a framework of education around the life cycle of a technician and other job roles within the industry. This framework is intended for curriculum providers to use in order to offer a career pathway that means something to the industry and is transferrable throughout the industry. The group began with the vision that they would prescribe degrees of competencies at every skill level, focused on the safety and reliability of the ground vehicle fleet. This Road to Great Technicians team consists of NASTF Chair Mark Saxonberg, Toyota’s Jill Saunders, WTI’s Rob Morrell, CTI’s Chris Chesney, NACAT’s Bill Haas, of Diag.net’s Scott Brown, WTI’s Mark Warren, NASTF’s Donny Seyfer, ASE’s Trish Serratore, S/P2’s Kyle Holt, DrewTech’s Bob Augustine and Cengage’s Erin Brennan. Exploring possible solutions to the industry’s problem, this group defined 13 solution elements, starting with new and enhanced communication with parents and influencers of peripheral students, early engagement with tactile students in middle and high school, support of STEM and development of a well-articulated career path with clear opportunities for advancement and growth that students and parents can see. The industry also needs to get involved with vocational education content to ensure these programs provide the right skills to students. The team also believes that the industry needs to provide internship experience, develop programs to help in-service technicians become mentors, and ensure that testing and certification programs are uniform and tiered to provide milestones for achievement. Employers also must find ways to provide wages and benefits that are competitive with other industries attracting the same individuals. The current state of industry education is outcome-based and not sufficient to serve today’s technology. The future of education must be competency-based with a focus on mastery of skill and validation of a technician’s mastery and development of skills that are recognized and transferable. A competency-based education offers a variable class structure and the ability to test out of the subject matter at different levels, enabling students to finish as they are able. The Road to Great Technicians team defined a new NASTF Technician Life Cycle that includes seven steps: apprentice technician, maintenance technician, service technician, repair technician, diagnostic technician, master technician, and specialist technician. Continuing the work they have started, the team plans to provide the industry with a white paper by the end of the year, but they encourage the industry to comment and opine. While the team will be limited in size in order to maximize effectiveness, they encourage industry professionals to join NASTF and the NASTF Education Team. The group’s vision for the future of automotive education culminates in the idea of the Automotive Institute of Science and Technology, which would include a pathway education in a project-based environment. In ninth and 10th grades, students would sample each pathway through projects designed to highlight the different aspects and career fields before choosing a specific pathway in 11th grade to focus on in their final two years of high school. Their choices would be automotive technology as a trade, business, or engineering. While obtaining their associates degree, students would enter the discipline of their choice, working in shops to gain practical experience while simultaneously acting as mentors to younger students. Chesney concluded the webinar with a question and answer session.